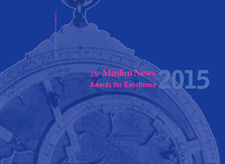 The coveted The Muslim News Awards for Excellence event will be held on Monday 27 March in central London to what is promised to be an inspiring evening of Muslim talent and their contributions to British society. This year’s nominees in 15 different categories include Shahida Ahmed, a ceramic artist and painter. Her past work is a fusion of calligraphy and pattern influenced by her local Lancashire roots together with the traditions of the Mughal period. Ruh Al-Alam is an artist, designer, calligrapher and entrepreneur who has deployed his talent across multiple disciplines for almost two decades. 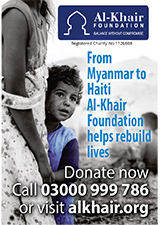 Shahed Saleem is Founder and Director of the architectural practice Makespace Architects. He pioneered fusing mosque architecture with the local British landscape. Opposition Leader, Rt Hon Jeremy Corbyn MP, said: “This awards ceremony is an important opportunity to recognise the huge contribution that Muslims across Britain make to our country every day, showcasing the talent and excellence of individuals in their fields of expertise. 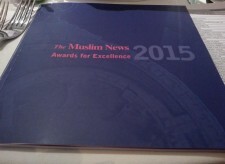 Ahmed J Versi, Editor of The Muslim News, said, “The awards ceremony showcases the brilliance of the British Muslim community – huge contributions made by diverse men, women and young people from around the country. 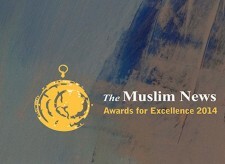 The Muslim News Awards for Excellence is a high-profile gala ceremony showcasing the best of British Muslim talent and is hosted by The Muslim News, the country’s largest and oldest Muslim newspaper. 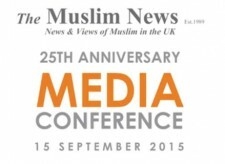 The newspaper continually works toward giving talented British Muslims the recognition they deserve for making positive contributions in their workplace and communities across the nation.